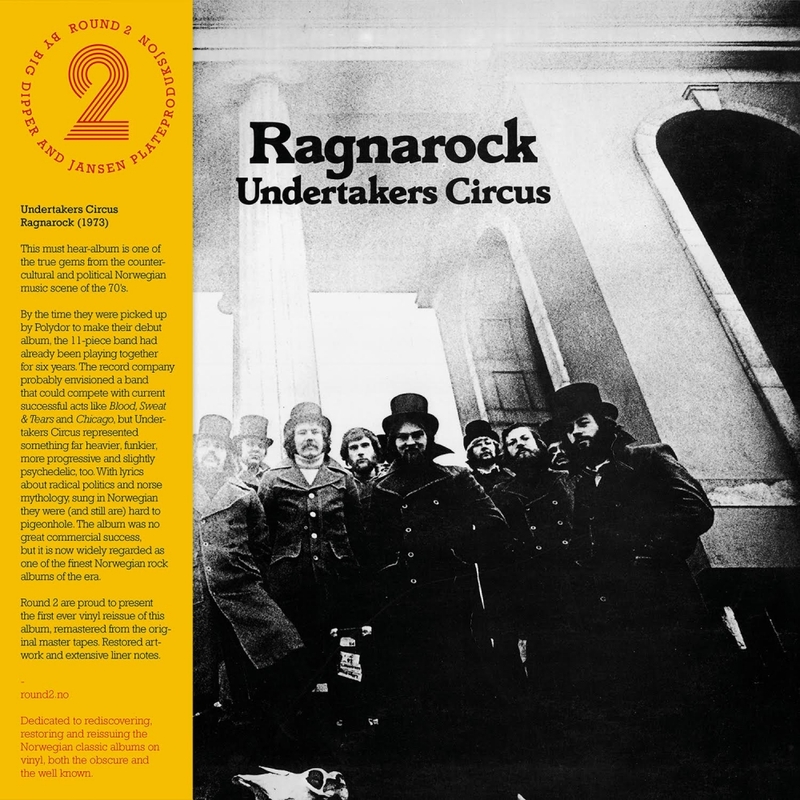 This must hear-album Ragnarock by Undertakers Circus was originally released in 1973, and it is one of the true gems from the countercultural and political Norwegian music scene of the seventies. By the time they were picked up by Polydor to make their debut album, the 11-piece band had already been playing together for six years. 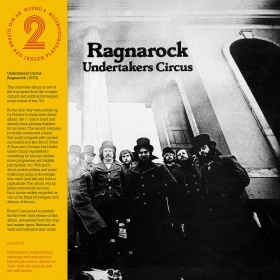 The record company probably envisioned a band with a horn section that could compete with current successful acts like Blood, Sweat & Tears and Chicago, but in reality the Undertakers Circus represented something far heavier, more progressive and slightly psychedelic, too. They also blended elements of funk and afro beat into their sound, and with lyrics sung in Norwegian about themes such as radical politics and norse mythology they were (and still are) hard to pigeonhole. The album was not a great commercial success, but it is now widely regarded as one of the finest Norwegian rock albums of the era. Round 2 are proud to present the first ever vinyl reissue of this album, remastered from the original master tapes. Restored artwork and extensive liner notes.